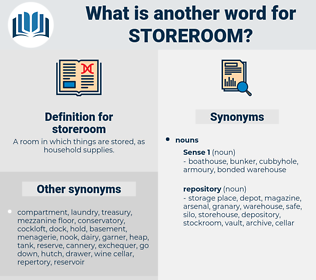 What is another word for storeroom? A room in which things are stored, as household supplies. reservation, riddance, reserve, stockpile, warehousing, stash. 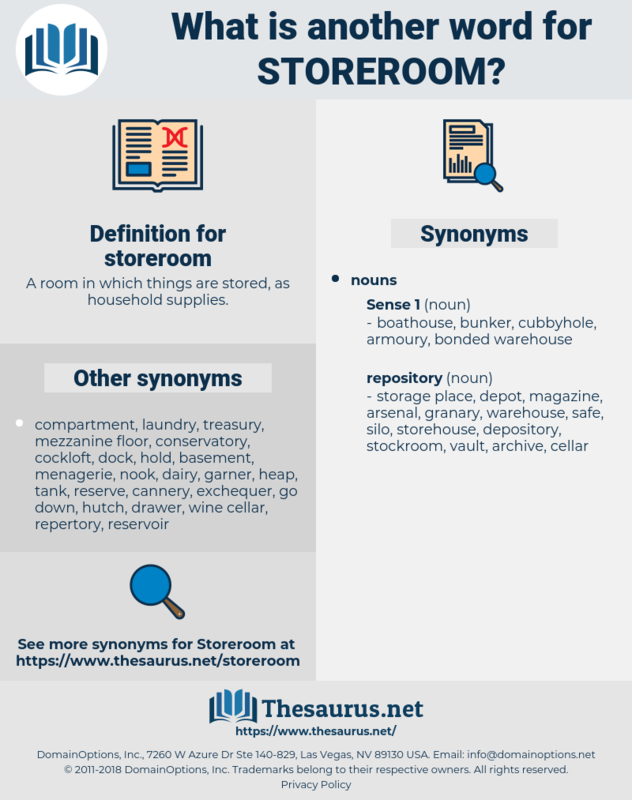 store, warehouse, storehouse, closet, storage, godown, cupboard, depot. It is the key to the storeroom door. side arm, sternum, sauterne, sheet iron, stearin, sterninae, sterne, stream, squadron, saturnine, straw man, straw wine, strymon, side drum, sterna, sweat room, southern, stern, sidearm, stormy, styrene, stroma, saturn, styron, saturnia, squad room, sectarian, storm, Sudatorium, struma, strum, strain, strawman, stateroom, stroheim, state attorney, strawworm.